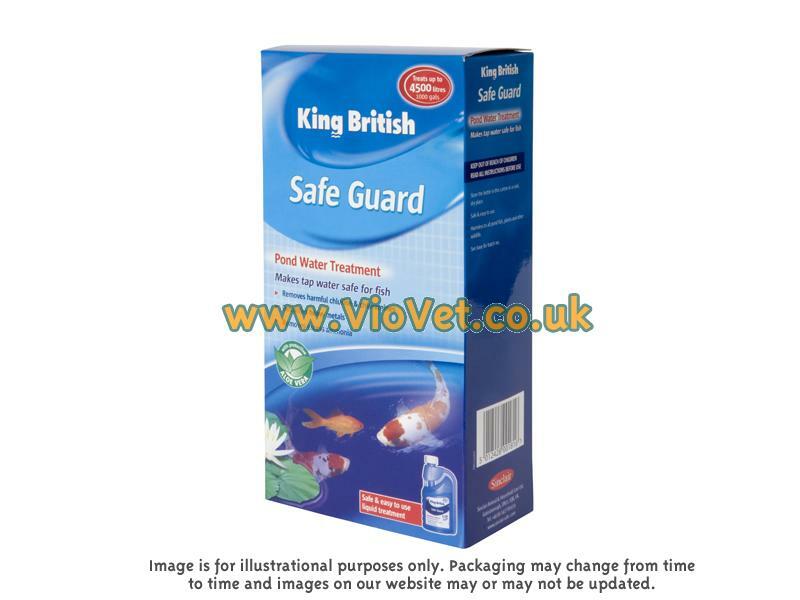 King British Safe Guard Pond makes tap water safe for fish by removing harmful Chlorine and Chloramines and detoxifying heavy metals, preventing stress and gill irritation in fish. Safe Guard also removes the excess Ammonia created from the reaction with Chloramines. There are currently no questions for King British Safe Guard for Ponds - be the first to ask one!